Another day of King Mackerel filled fish boxes for the Offshore fleet. Weather continued to be cool with clear skies for most of the day. The afternoon had some clouds rolling in but the rain held off for anglers. Good Times: Andy Fuqua of Leasburg, NC caught a 32lb King Mackerel. Jean Hartley of Leasburg, NC caught a 36lb King Mackerel. December came in with slightly cooler temps and a pretty good wind as the day went on. Offshore boats found good King Mackerel and a lot of fun out on the water. Release: Timothy Riley of Detroit, MI caught a 31lb King Mackerel. Howard Shipwash of Concord, NC caught a 32lb King Mackerel with help on the gaff from Shane. 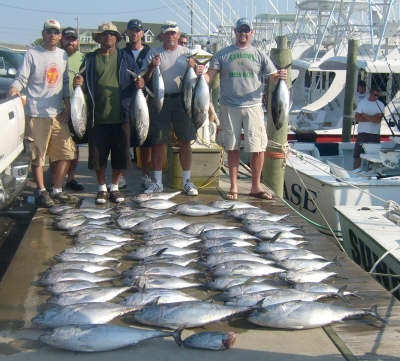 World class King Mackerel fishing is what one captain reported to us. Offshore boats enjoyed great weather while both trolling and live bait fishing for King Mackerel. 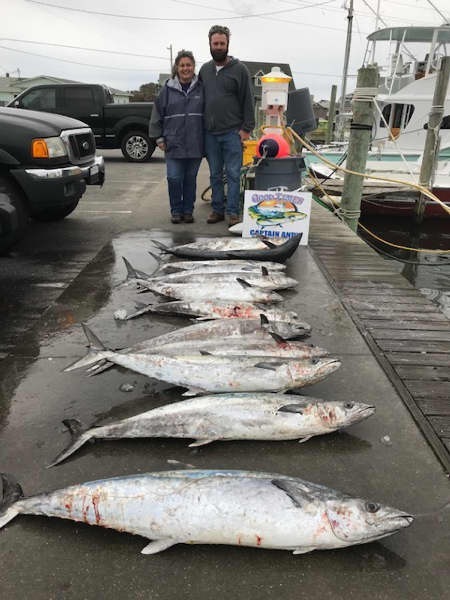 There were also some Albacore caught while Sea Bass and Triggerfish were at limits. Temperatures have been in the 65-70 range just right for a relaxing day. Good Times: Kyle Aaron of Norfolk, VA caught a 35lb King Mackerel. Miltos Stefanitsis of Herrico, VA caught a 34lb King Mackerel. The weather was absolutely gorgeous with temperatures in the low 70's and winds from the south. Several offshore boats went commercial fishing for King Mackerel. 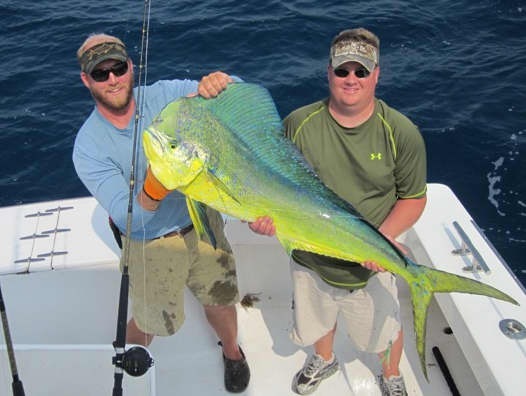 We offer charters year round, so if you are interested in fishing give us a call and we'll hook you up! We also have accommodations for your convenience, give us a call at 800-676-4939 for more information. The weather has been very mild today on Hatteras Island. Inshore anglers enjoyed a beautiful morning on the Pamlico Sound catching and releasing Puppy Drum. 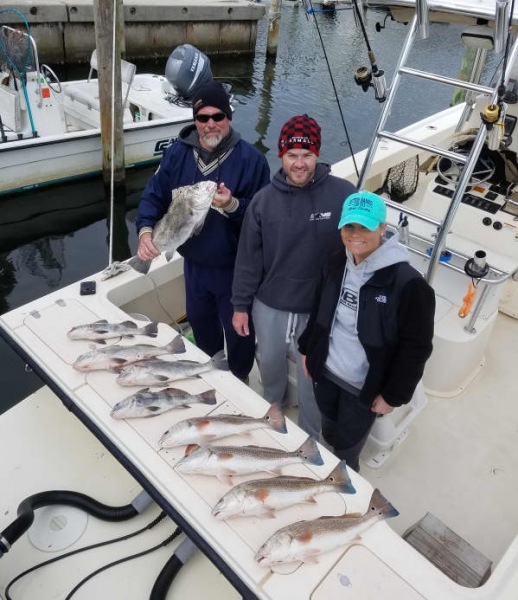 Offshore, the Blackfin Tuna bite was fair, along with good catches of bottom fish -mostly Black Sea Bass and Triggerfish.The first of next week shows promising fishing conditions - don't miss out on the last of Fall fishing - give us a call at 800-676-4939 to book your fishing adventure. We hope that everyone had a great Thanksgiving holiday! 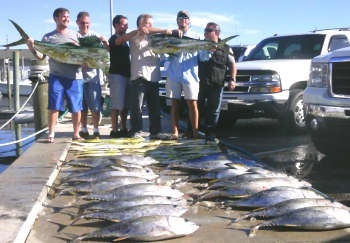 We're back to fishing business here at Hatteras Harbor. 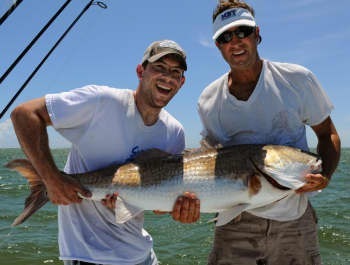 Inshore anglers went out this morning and caught limits of Red Drum and even some Black Drum. The Blackfin Tuna bite was real good offshore today and the Yellowfin Tuna bite was scattered. it's good to see the tuna bite picking up! Our in store Sale began today. Stop by to check out our deals and mark your Christmas list off early. We would like to wish everyone a wonderful Thanksgiving with family and friends! We will be closed tomorrow to celebrate our blessings and everything for which we have to be grateful. We hope that your day is filled with good food and cheer! Excellent fishing went hand in hand with excellent weather. Several boats fished today and were all smiles on the docks with limits of Triggerfish as well as limits of King Mackerel with Blackfin Tuna mixed in. Inshore anglers enjoyed a calm day with good Speckled Trout and Puppy Drum. Release: Jeff Monroe of Gray, GA caught a 24lb Blackfin Tuna. Derek Hattaway of Ivey, GA caught a 23lb Blackfin Tuna. Good Times: Guy Davenport of Creswell, NC caught a 32lb King Mackerel. Calypso: Corbin Henry of Martinsburg, WV caught a 34lb King Mackerel. 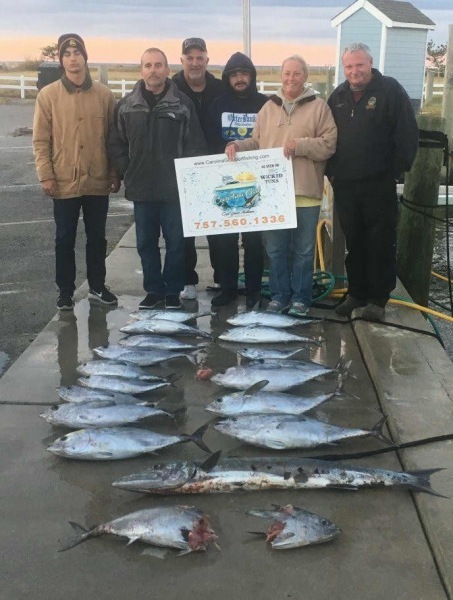 A few boats out fishing Offshore today they returned with a mix of both Blackfin and Yellowfin Tuna, a few Wahoo and Albacore rounded off the day. 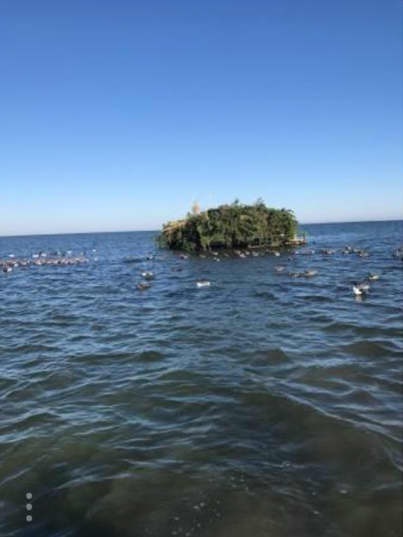 Our Inshore guys were checking out their duck blinds and getting ready for the season. Weather was not as friendly today and no boats were chartered for Offshore.